There is no denying the fact that chicken is one of the best lean sources of protein. A source which is traditionally low on calories and filled with a lot of good things. If you are on a weight loss journey or on a muscle gain journey, chicken if my go-to source of protein other than eggs of course. The excess oil we add while cooking. The answer, instead of cooking the chicken the usual way, one can work with the ghee roasted chicken which takes about 15 minutes to cook and does not add the extras. 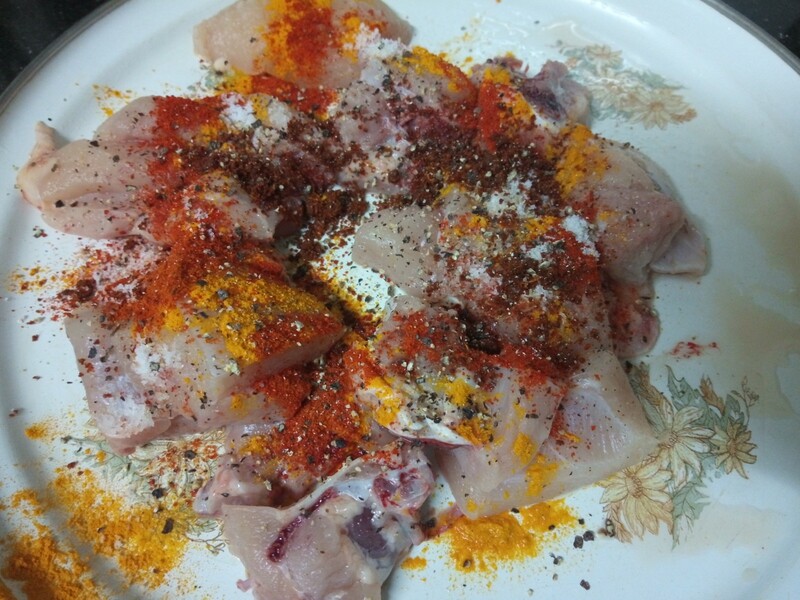 Wash and clean the chicken, add the salt and spices and rub the spices on the chicken pieces. Let it marinate for 10-15 minutes. Heat one teaspoon of ghee in a non-stick pan. Let it roast on low flame, flip after 3-5 minutes. Cook for 10-15 minutes. Add your veggies like carrot, beans, and tomatoes to the side of the pan and roast them for 5 minutes. Rub the spices and marinate for 15 minutes. One could enjoy these as is, or add some mashed potatoes for carbs on the plate or I simply throw in rice into the pan post plating the chicken and the veggies and kind of make fried rice. 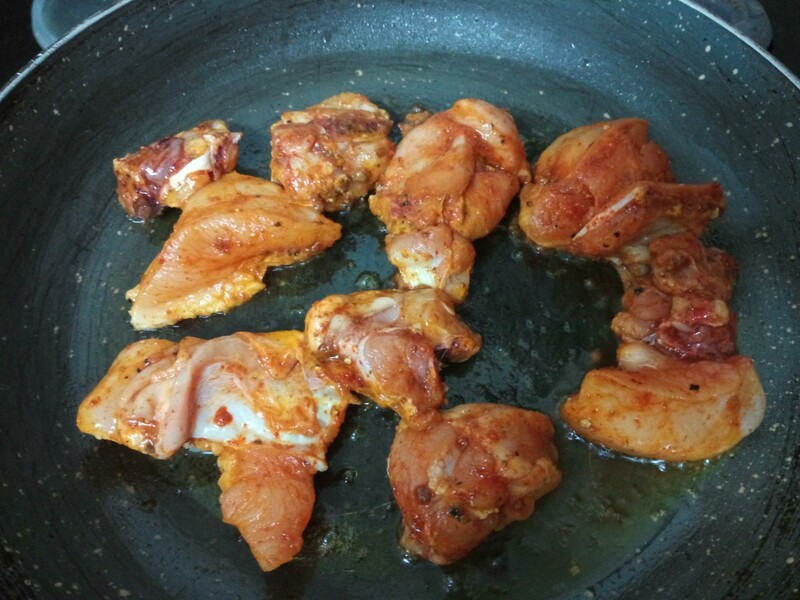 Enjoy your healthy and tasty plate of ghee roasted chicken the healthy and tasty way. There is no denying the fact that chicken is one of the best lean sources of protein. A source which is traditionally low on calories and filled with a lot of good things. If you are on a weightloss journey or on a muscle gain journey, chicken if my go to source of protein other than eggs of course. Usually a dietician would recommend having boiled chicken. But hey having boiled chicken warrants that one has a strong determination to glup down that stinky piece sans any taste whatsoever. At least I could never bring myself to eat that. So I went figuring out what was the reason for the additional calories in our usual chicken curry. The answer is simple 1. The onions in the masala 2. The excess oil we add while cooking. Answer, instead of cooking the chicken the usual way, one can work with the ghee roasted chicken which takes about 15 minutes to cook and does not add the extras. Add your veggies like carrot, beans teaspoon and tomatoes to the side of the pan and roast them for 5 minutes. One could enjoy these as is, or add some mashed potatoes for carbs on the plate or I simply throw in rice into the pan post plating the chicken and the veggies and kind of make fried rice. 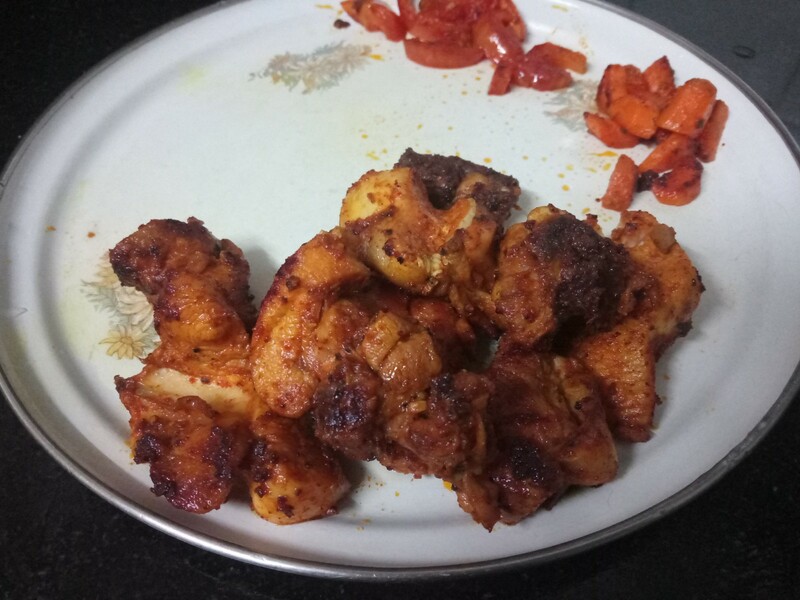 Enjoy your healthy and tasty plate of ghee roasted chicken the healthy and tasty way.